Status: In Progress | Genre: Flash Fiction | House: Short Short Stories! John offered his balcony for our impromptu celebration and we escaped from work at 10:30 in the morning. We had just clinked flutes of champagne, toasting the successful completion of the deal of the century, when I saw the first of three quick flashes of light in the distance. Intensely bright, like a camera flash. Had I not been looking in the direction of the flash, I would have missed it. We cheered. Bill and John deserved the praise for sealing the deal. They had done the real work engineering the latest satellite laser technology. Sarah, our team leader, would get the credit. My part was crossing T’s and dotting I’s. Making certain that the paperwork was perfect. Government contracts. The second flash of light came from the same place as the first. Equally intense as the first. Startled, I pointed the spot out to the others and was describing what I had seen when the third flash occurred. “Rod, isn’t that in the direction of Ashwood, where you live?” asked Bill. Just then, an emergency broadcast warning interrupted the music. 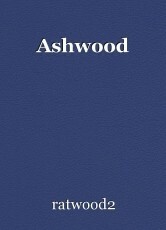 I caught only the last part of the warning urging residents of Ashwood to stay away until, until what. The broadcast ended and the music resumed. I grabbed my phone and called my house. There was no answer, in fact, the phone didn’t ring, even once. Julie, my wife, should be at home. Today was her day off. “Somethings wrong. I have to go,” I told the others. Bill set down his flute and followed me, announcing that he would drive. Twenty minutes later, we encountered a police roadblock at the last exit before Ashwood. All traffic was being turned around. We could see a stream of cars coming from Ashford and immediately realized that the town was being evacuated. Bill pulled the car over to the side of the road and two officers approached the driver’s side. Both were wearing SWAT gear and carrying assault weapons. Bill rolled down the window. “No one can go through. The whole town is being evacuated,” the first officer said as he leaned to look in our car. “Can you tell us what happened?” I asked. Bill swung the car around and about a hundred yards back, I pointed to a dirt road. “Short cut,” I said, and Bill pulled off onto the dirt road. The road took us through the walnut groves and ended at the old baseball field at the edge of town. Bill slowed as he drove into the parking lot and stopped. There should have been houses, people’s homes, lining the narrow streets. There wasn’t anything. Just darkened, bare dirt where building should be standing. We starred at the scene before us. The houses were gone. All that remained was the trees, and the flower beds, and the lawns. All that was missing were the houses for three blocks ahead. That is when we saw it again. A blinding flash. No sound. No explosion. Just a blinding flash and then another house was gone. © Copyright 2019 ratwood2. All rights reserved. Do I take the "Yikes" as you liked the twist at the end? Thanks for the read. Excellent, ratwood. We all better hope that it is one laser that never hits the shelves. Glad you enjoyed the read. Took me a while to decide on the twist. Thanks Markie Bee. I thought about this one for a while. This page was created in 1.5227 seconds.